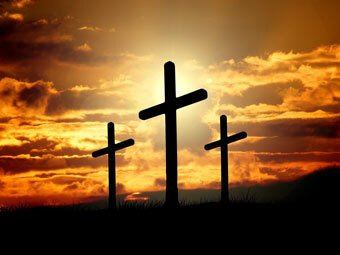 The Franklin County Transfer Station will be open on Good Friday, April 19, 2019 from 7 AM to 1 PM. The Transfer Station will operate on a normal schedule on Saturday, April 20, 2019. 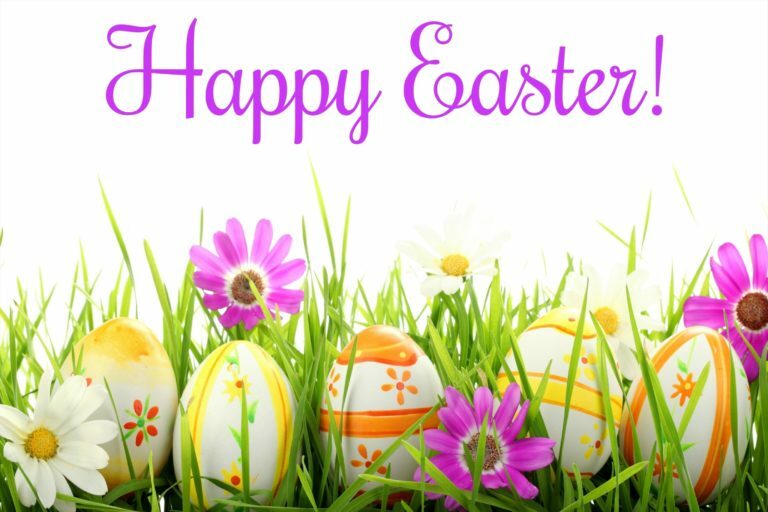 The County's 12 Convenience Centers will operate on a normal schedule of 7 AM to 7 PM on Good Friday. Let’s Keep Franklin County Clean & Litter Free! If you are one of the many users of the County’s twelve residential solid waste convenience centers and transfer station, you play a key role in helping keep FRANKLIN COUNTY CLEAN & LITTER FREE. Take the time to SECURE YOUR LOADS of trash and other discards when transporting them in your vehicle on the roads of Franklin County. When YOU do, YOU help reduce the dangers of a vehicle accident trying to avoid fallen debris and trash and eliminate the accumulation of unsightly roadside litter. 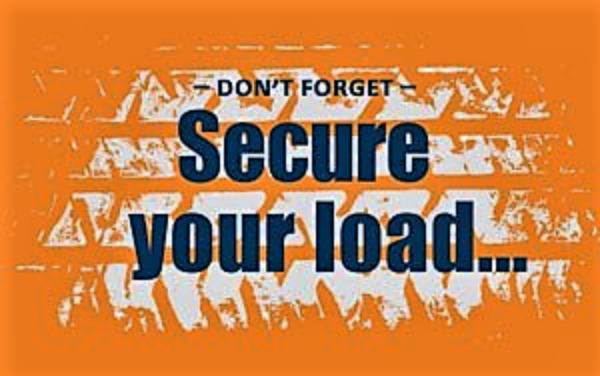 By way of North Carolina law, it is illegal to haul an improperly secured load. Penalties for littering include up to a $2,000 fine, community service work and one point on a motorist's driver license upon conviction. ends Monday, March 11, 2019. The schedule change corresponds to promoting safety for customers, attendants and contractors with the end of Daylight Savings Time and onset of darkness earlier during the Winter months. Need information about your Town's Trash and Recycling Services???? Visit the appropriate link below. On June 4, 2018 the Franklin County Board of County Commissioners approved the FY 2018-19 County Budget. Effective July 1, 2018, the new Solid Waste Availability Fee is $85 and the new Commercial Waste tipping fee is $63 per ton. Franklin County Government operates one State of North Carolina Permitted Transfer Station and 12 Residential Convenience Centers (Franklin County Residents Only). *Winter Hours 7:00 am - 6:00 pm begin Monday, November 5, 2018 and end Monday, March 11, 2019. (Residential Convenience Centers are closed Thursdays and Sundays). Landfill means a disposal facility or part of a disposal facility where waste is placed in or on land and that is not a land treatment facility, a surface impoundment, an injunction well, a hazardous waste long-term storage facility or a surface storage facility. Does Franklin County operate a landfill? No. Franklin County Government’s landfill closed on April 7, 1994 due to a lack of space and the high cost of continuing under the new solid waste rules. The landfill was in operation for 21 years. A transfer station is a building or processing site for the temporary deposition of waste. Transfer stations are often used as places where local waste collection vehicles will deposit their waste cargo prior to loading into larger vehicles. Where is the County's Transfer Station? The physical address is 5 Landfill Road, Franklinton, North Carolina 27525. The entrance is at the intersection of Timberlake Road and Landfill Road. The hours of the transfer station are Monday through Friday; 7 am to 3:30 pm and Saturdays; 7 am to 1:00 pm. Who can use the transfer station? The transfer station is for both commercial (business) and residential customers that have acceptable materials for disposal. What can I dispose of there? Municipal solid waste (trash, garbage, broken furniture), yard waste, construction and demolition materials, pallets, wood, concrete, brick, White Goods (appliances), scrap metal, scrap tires, electronic waste (e-waste) and acceptable items for recycling. What is not accepted there? Poisons, pesticides, or any chemicals (powder or liquid). Fire embers or coals (hot or burning). Paint still in the liquid form. Any item banned by the state or the county. How much will it cost me to dispose of materials at the Transfer Station? Banned materials: $168 per ton; any material identified as banned from waste disposal by county or law/rule. Commercial waste: $60 per ton (Effective: July 1, 2018; $63 per ton); includes business, industry, restaurants, etc. Commercial town waste: $48 per ton; residential waste from the municipalities. Construction and demolition waste: $60 per ton; includes wood, paneling, sheet rock, plaster, insulation, wire scraps, other building scraps, etc. County residents (the resident is allowed this, not the contractor hauling construction material for the resident) will be allowed to dump 2,000 pounds of construction material per year at no charge. Shingles waste: $60 per ton; includes all roofing lumber, plywood, and shingles. All contractors will pay this rate. Pallet waste: $40 per ton; includes all clean scrap lumber, skids, or pallets. No painted wood, treated wood, plywood, or press-wood will be accepted. Yard waste: $40 per ton; includes all parts of trees or shrubbery. No stumps will be accepted. Residential waste: $52 per ton; includes waste picked up from residents by private haulers. Out-of-county waste: $120 per ton; waste brought by customers/businesses to the transfer station from outside of the county. Includes everything they bring. This is waste that originates in another county. Corrugated cardboard/newspaper penalty: $168 per ton; includes waste with corrugated cardboard or old newspapers. Land clearing inert debris waste: $20 per ton; includes brick, concrete, block, and asphalt. Residential: No charge; includes waste brought to the transfer station by county residents. Limited to bagged garbage, old furniture, and general household material, etc. This is limited to the house that the resident currently lives. Dump type or flatbed trucks are only allowed in the landfill from 7:00 a.m. to 3:30 p.m. on Monday through Friday and 7:00 a.m. to 1:00 p.m. on Saturday. All vehicles of this type will be charged. Scrap tire waste: No charge; includes old tires. No tires from outside of the county will be accepted. White good waste: No charge; includes all old appliances. No white goods will be allowed from outside the county. Scrap metal waste: No charge; includes all types of metal waste. No plastic or wood attached to the metal will be accepted. There are costs involved with the collection, transportation, processing, disposal and or recycling of Franklin County’s solid waste. The County’s Solid Waste Fee, taxes, State of North Carolina Scrap Tire and White Goods disbursements, tipping fees and revenue generated from the sale of certain discards supports the overall operation of the County’s Solid Waste Department and its programs. The rate charged for each described tipping fee listed in section 24-59 of the Franklin County Solid Waste Ordinance is adopted each year by the county board of commissioners in the county budget ordinance. County residential homeowners will receive the first 2,000 pounds of waste material free of charge. All waste material, after the first 2,000 pounds, will be charged according to the rates listed in section 24-59 of the Franklin County Solid Waste Ordinance. This includes town residents. This includes all material that crosses the scale at the solid waste transfer station. All vehicles must weigh in on the scale and be logged into the computer. A number will be assigned to each customer so that all materials can be recorded. All material will be charged according to the rates in section 24-59 of the Franklin County Solid Waste Ordinance. All businesses and contractors will be charged. Any person or entity receiving payment for work done or which trades services shall be considered a business or contractor. The resident is not allowed to drive the contractor's truck to the landfill in order to receive the first 2,000 pounds free. Rental property is considered a business and will be charged the rates in section 24-59 of the Franklin County Solid Waste Ordinance. Dump type or flatbed trucks are only allowed in the landfill from 7:00 a.m. to 3:30 p.m. on Monday through Friday and 7:00 a.m. to 1:00 p.m. on Saturday. All vehicles of this type will be charged. What is a convenience center? Solid waste convenience center means any place owned, leased or operated by the county at which solid waste containers or recycling containers have been placed. How many convenience centers does the County operate? What are the operating days and hours? (Residential Convenience Centers are closed Thursdays and Sundays except for Lake Royale and Landfill Road locations). Who can use the convenience centers? Who cannot use the convenience centers? Persons that live outside of Franklin County and/or businesses or individuals receiving payment for disposal of materials. What can I dispose of or recycle at the centers? What is not accepted at the centers? What telephone number do I call to leave a compliment, report a complaint or reach a Solid Waste Department staff member? The telephone for the Solid Waste Department is 919-496-5002. Does the Solid Waste Department provide roll off containers or dumpsters for customer rental or use? The department does not provide this service at this time. Franklin County Solid Waste Officials pledge to promote and support public and private partnerships for a cleaner and more beautiful County through programs of public awareness, education, and activities that encourage responsible environmental behavior.